One of my biggest responsibilities at The American Shrimp Company included copywriting for a couple purposes. While I often updated existing website content, most frequently, I wrote and published one-two new blogs per week. These stories ranged from recipe lists to buying guides for shrimp. I also created a feature series that spotlighted some of the best seafood dining destinations in the United States from San Francisco, California to Baltimore, Maryland. In addition, the blog highlighted chef advocate inspired recipes from notable food bloggers and journalists from across America that I developed relationships with during my time with the company. For the Lakeshore Chinooks, I was not only in charge of writing the game recaps, but I was also responsible for posting the content to their website. Through this process, I first became familiar with utilizing WordPress. I posted the articles and included a graphic for each story. Several of my game stories can be found below. At dezinsINTERACTIVE, I worked on several aspects of digital media, including email marketing. These e-newsletters were sent for clients and my company as well. 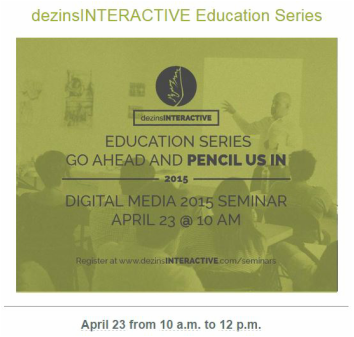 For instance, I created e-blasts for our education seminar series and other services the agency provides. These emails were sent to several lists. 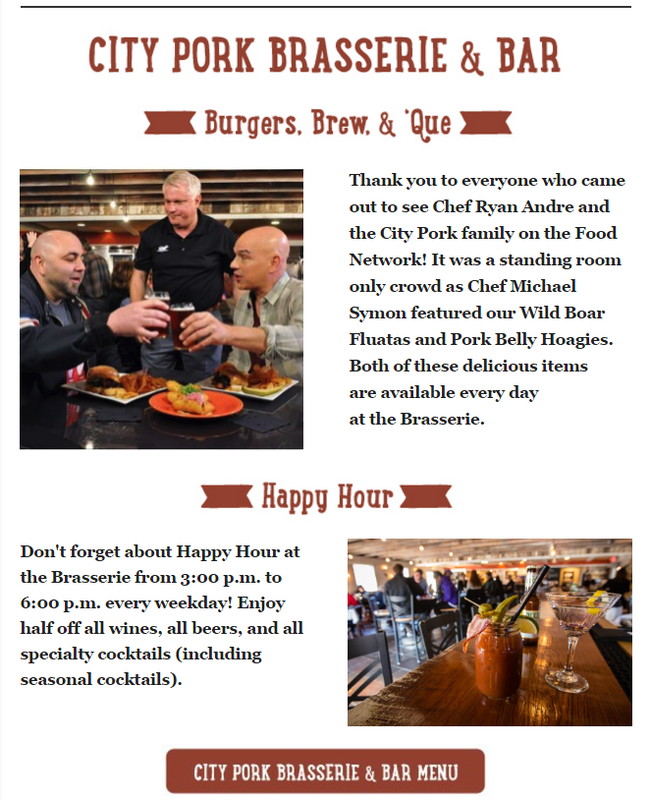 The following images depict a monthly email newsletter for a local restaurant franchise.